The Gruffalo returns to London’s Lyric Theatre just in time for the Summer holidays! 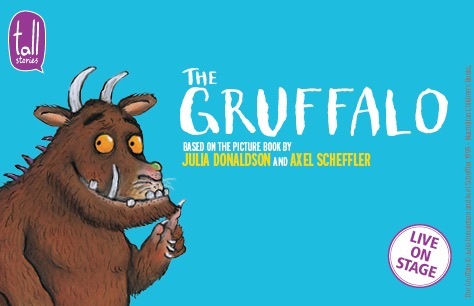 Gruffalo tickets are the perfect way to spend a day with the family! Julia Donaldson and Axel Scheffler have created some of the most memorable characters in our children's’ lives. Tall Stories are bringing the family’s favourite bedtime story to life on the West End stage. Join Mouse’s journey through the deep dark wood. You and your children will love meeting the sneaky Fox, the strange old Owl and the rhythmic Snake. Mouse might be able to frighten the hungry beasts he meets in the forest with tales of the Gruffalo, but what will happen when the creature he thought was only a story appears in the forest? Running during the summer holidays from the beginning of July to the beginning of September, The Gruffalo is the perfect way to spend a day with the family in London. The Gruffalo is the perfect introduction to the theatre for your pre and primary school children. Tickets for The Gruffalo at the Lyric Theatre are now available. Don’t waste your time worrying about something special to do over the holidays, book The Gruffalo tickets now!